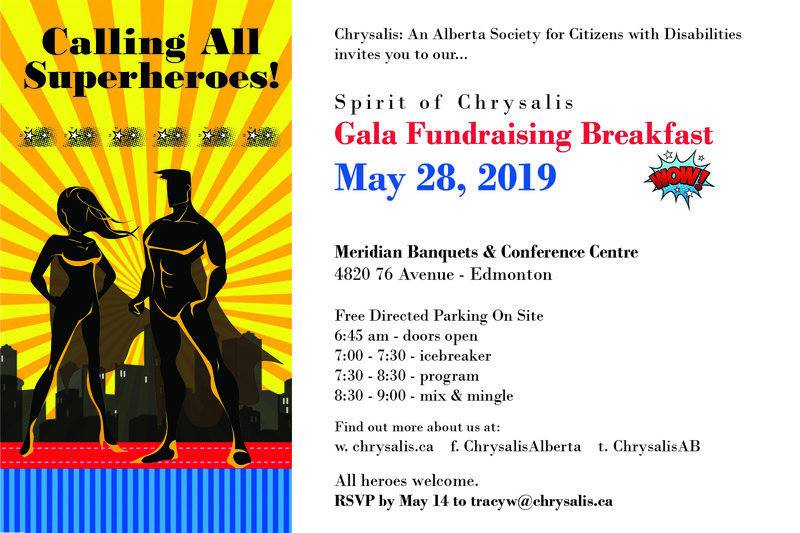 We invite you to our 2019 Spirit of Chrysalis Gala Fundraising Breakfast. This year’s celebratory and networking event is a little different from other fundraisers. We’ve incorporated an icebreaker to help our Friends of Chrysalis network get to know each other better. We’ve also switched things up with a superhero theme. This year’s event goals are to host 500 engaged guests and raise $250,000. As always, this event is free to attend and open to all. Keep in mind, this is a fundraiser and all guests will be asked to consider making a donation to support Chrysalis, however there are many ways to give support if financial giving is not convenient for you right now. Our speakers have new uplifting stories of those in our community who have found their voices and realized a better quality of life. It’s a beautiful way to start the day. RSVP by May 14 via email to [email protected] so we capture your name on our guest list. 1. Sponsor the event – view our sponsor opportunities to help us host another zero-cost event so that all funds raised goes directly back to our operations and those we serve. If you’d like to sponsor our event please contact [email protected]. 2. Provide a donation – if you’re more comfortable providing a financial contribution to help us reach our goal of $250,000 in support of our Human-Centered Design (HCD) program that will benefit every individual at Chrysalis, then please donate here or through the yellow ‘Donate’ button on the left-hand side of our webpages. 3. Host a table – community connections are a powerful gift. 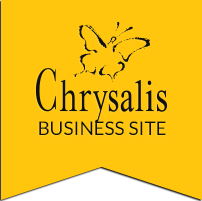 We can also greatly benefit from expanding our Friends of Chrysalis network to help us with reaching out to new inclusive employers, advocates, partners and potential customers for our Woods & Plastics business units. If you’d like to host a table with nine guests (for a total of 10 people at the table) to introduce others to Chrysalis then please contact [email protected]. 4. Attend the event – if you’d like to find out more about Chrysalis then please RSVP as a guest before May 14. Questions about the events – please contact [email protected].